I see the face of war, the one who went for me; the soldier, sailor, airman, the one who served for me. The flash of exploding bombs, the crack of guns, the terrible screams of pain. Most of us experience military service only through the eyes, ears, and efforts of others—our father, brother, son, uncle, aunt, sister, or mother. But mostly men, and often friends, as well as relatives. For me, it was Uncle Carroll in World War I, my father and a friend in World War II, my brother and his best buddy in Korea. 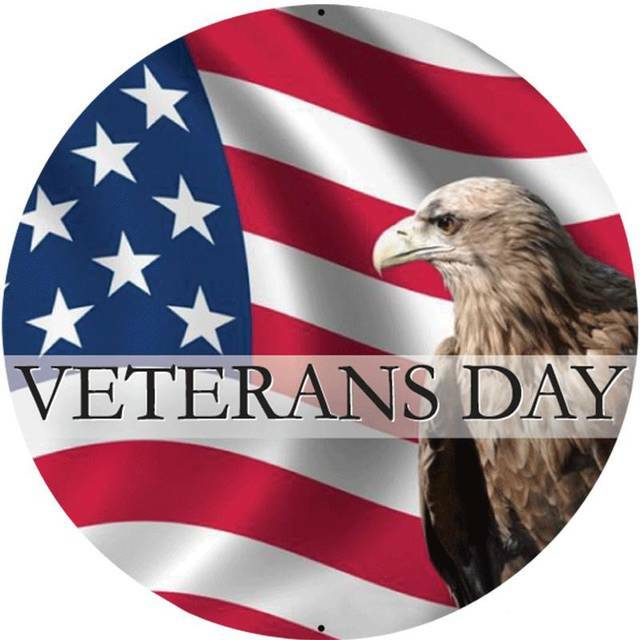 I share their experiences to honor all veterans, including those you know or knew. A year later, Carroll wrote another letter home while sitting on the steps of a bombed-out church in northern France. The church’s bell had remained intact and was ringing out the joyous news of the Armistice being signed hours earlier and just a few miles away — on Nov. 11, 1918. Carroll realized the immensity of the conflict and carnage which had just ended, a war machine which had consumed human life like a voracious vampire. “I never thought that one’s part would be such a small part. But I found out that it is true when you say you are going to do your bit — it is a little bit. But you will read something very great about us in history.” His words capture that sense of serving in something much larger and more noble than self — selfless sacrifice to preserve our American freedom. The war efforts of World War I and World War II had that clarity of purpose. My father was a sailor on the USS Maine in World War I — but his sacrifice came in World War II when he was part of the huge logistical supply chain channeling ammo, equipment, and supplies to the front. Ed Burns’ shop repaired motors for factories humming 24-7 to feed that supply chain. Working late at night, he fell down an elevator shaft and broke an arm and his leg. I was five at the time and only later realized why my father was not coming home from work at night, instead lying in a hospital bed. I entered kindergarten three months after D-Day. But I experienced some sense of the horrendous sacrifice made by American troops that historic day when a friend of mine name Hal poured out his story years later. His unit landed at Normandy the day after D-Day and, having positioned themselves on high ground, he was tasked by his commander to return to the beach to retrieve some equipment. I sensed the emotion building up in Hal as he described how the cloudy weather and rough seas of D-Day had given way to blue skies and calmer waters that next day — when the beach was still covered with the carnage of his fellow soldiers from the day before. Hal’s voice faltered and tears welled up in his eyes — and in mine — as he grasped for words, having a picture in his mind that I can only imagine. All gave some, some gave all. Many of them. That brings us to Korea. My brother was captain of our football team, his best buddy, Leigh Whitaker, being the play-by-play announcer who credited my brother with all the gang tackles. Leigh was that kind of guy, light-hearted and helpful. But when Korea came, they went in opposite directions — my brother to a Coast Guard cutter in the Atlantic, Leigh to Korea as an Army medic. His unit was overwhelmed in a pre-dawn attack, most of his unit killed in the initial onslaught. Leigh was lined up with a few other survivors for execution but a last-minute reprieve came when the enemy realized their value as prisoners. But life after military service is also challenging. Leigh married but his and his wife’s two beautiful children had muscular dystrophy. They were the National Poster Children for the Jerry Lewis telethon of 1963 and visited President Kennedy at the White House in that capacity shortly before his assassination. No, I was never in uniform. But we all can serve our country in some capacity. Mine is writing, others do so by supporting our soldiers, sailors, and airmen while overseas and, ever more so, when they return home. Please be such a server — for a cause nobler than self.